I don't have a Roomba but if I did I wouldn't be letting it share a map of my house layout to anyone. I really do like some of my technology to stay stupid. 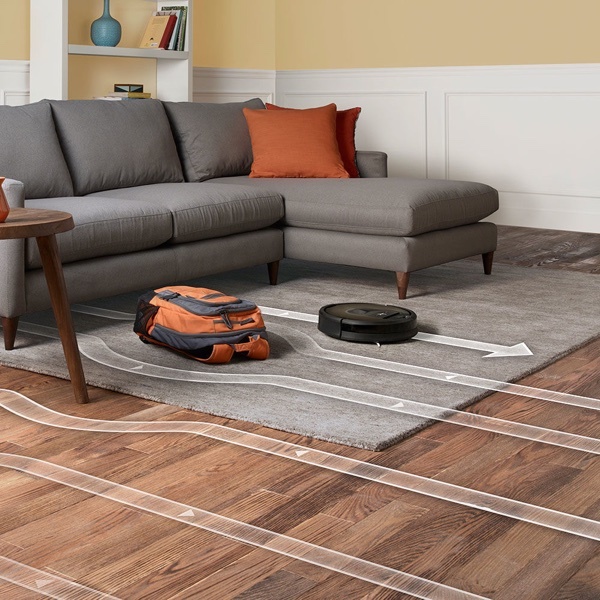 I got to be honest, I don’t think my Roomba keeps a map of my house or has mapped it very well. I once told it to dock right after it started and it took nearly 30 minutes to find the dock. Jeeze Louise.... it's not like we couldn't see this coming. It's so annoying. I choose, as an act of my will not to buy iRobot products. One more brand I don't need in my life. Ethically I have an issue with people attempting to collect data from devices I own to resell to others when it's not for my direct benefit. I returned a smart tv once because once I got it home it said it would monitor what I watched to feed back for advertisers with no way to turn it off. There is no need to know the layout of my house, and a brand needlessly capturing data to regurgitate for profit is something that will stop me from buying the product. A company has the ability to collect data from a device that a consumer agreed to a liscence to use - the company can do what they want with the data. Does it have a good money making potential? Sure. Will it backfire? Probably. Would a different political environment affect iRobots decision? I seriously doubt it. We have the Roomba 850 or 860. It doesn't map our house, but does a decent job and we like it. We just don't care for the diagonal lines it makes on the carpet since it doesn't map the house. Also it will sometimes miss a spot. My wife and I have talked about getting the newer model that maps our house for the upstairs, and then put the old one downstairs. We will no longer be considering purchasing the newer model at any point in the future. I know Anker makes one, but I don't know how smart it is. I'm sure some other company makes them as well. I don't want my house data to be sold to Google or anyone. That is not their information to sell! That is my information!! I know it says they won't sell it without permission, but I don't trust them. I didn't even know they were storing this info or uploading it somewhere. They'll probably also incentivize people by only allowing certain functionality with it disabled. Yes they are a little noisy, but you can program it for different times every day. I program it for the same time while I am at work everyday. Then early morning on the weekends. If you have a pet. I don’t have pets, but if you do and it leaves a surprise on the floor I bet this could make a huge mess. Well, after reading this, I wouldn't buy one if I had a dog. But I got a good chuckle out of it. I hated our Roomba. It was infuriating watching it randomly zig zag trying to clean a room. It would miss areas and over clean others. So glad we returned it (Costco) and got a Neato. Such a more effecient device. Would never buy a Roomba again. It wasn't even one of the cheaper models, can't remember the model name/number but for sure at a min. the middle tier. I think it mine does a good job cleaning but it is very random and goes back and forth between rooms. Does a diagonal line in one room, goes to the next, circles around for a bit then goes back to the original room. I think it is purely random, no real mapping of layout. Are these things noisy? It would drive me crazy if it was cleaning while I was trying to watch TV or something. Or can you schedule specific cleaning times for it? Nice....crooks don't have to case a house anymore...just buy the data from iRobot.